The Student Government painted the spirit rock, located near the south entrance, just in time for last Friday night's commencement and the end of the Winter semester. 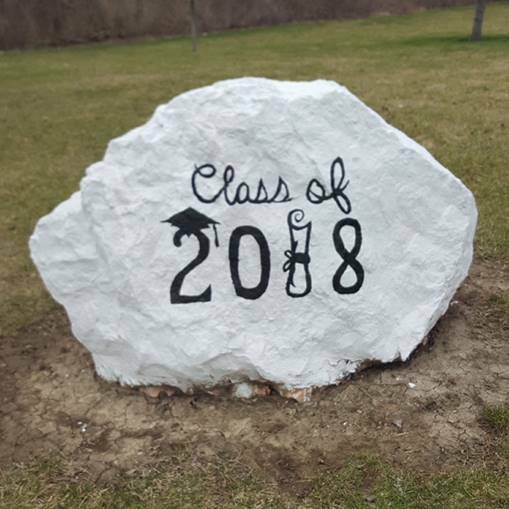 2018 graduates are encouraged to stop by, sign the rock and take a picture with it. Those wishing to share their photos can either hashtag their photo #MCCC2018 or email their photo to Tom Ryder at tryder@monroeccc.edu, and he will share the photo on the Student Government Facebook page.